But no package system installed from the box will be a perfect fit for your business. That’s why we’ve built in flexibility in the way data can be stored and provide templates for standard procedures and routine documents. Your Cloud Appointments system will be created with the standard fields for your clinic type to start with. We can then add in additional customer and notes data fields as you need. Customer detail and notes templates for standard procedures are included and a full list is shown below. But if you need a standard form that’s not currently available then we’ll work with you to design and add it. Often you’ll find yourself writing almost the same letter, prescription, lab test once again but for a different client. 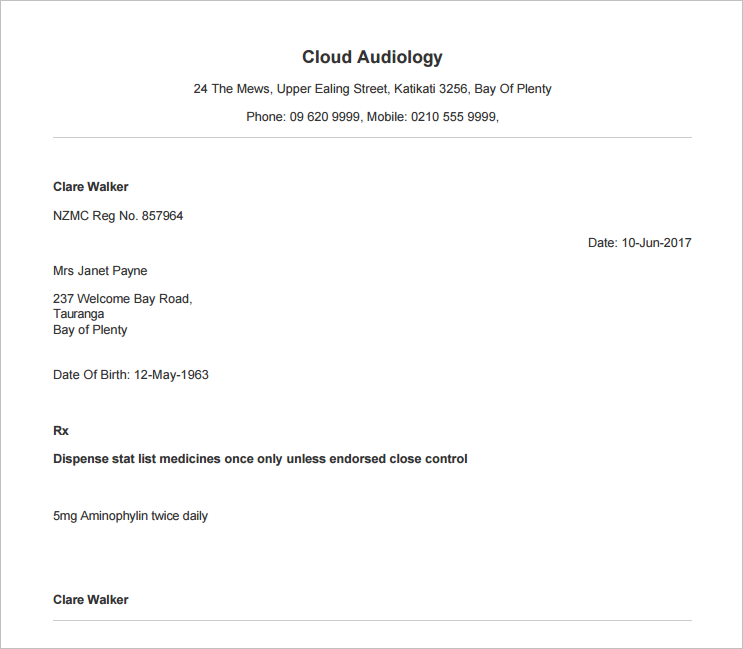 So, in Cloud Appointments, we’ve provided a series of standard templates for commonly produced documents. You can also create your own templates or change the supplied templates to suit. When you use these templates your current data is merged into the template to produce a PDF file which can be printed or emailed and it is kept as part of the client’s records.